“Self-aware, off-kilter semi-observational comedy delivered with cynical charm” - The Unmistakable Scent of Leopard (USOL). Julia was once described as someone who "looks a bit like a comedian" and as an avid comedy punter, decided to see if she could live up to the description. She is now walking the stand-up comedy path and after catching the bug for making people giggle (with jokes, not the way she looks) she has 3yrs comedy experience under her belt. Her performance can be described as warm, witty and dark at times. Observational and topical along with her willingness to be ridiculous makes her an act the audience will remember with fondness. 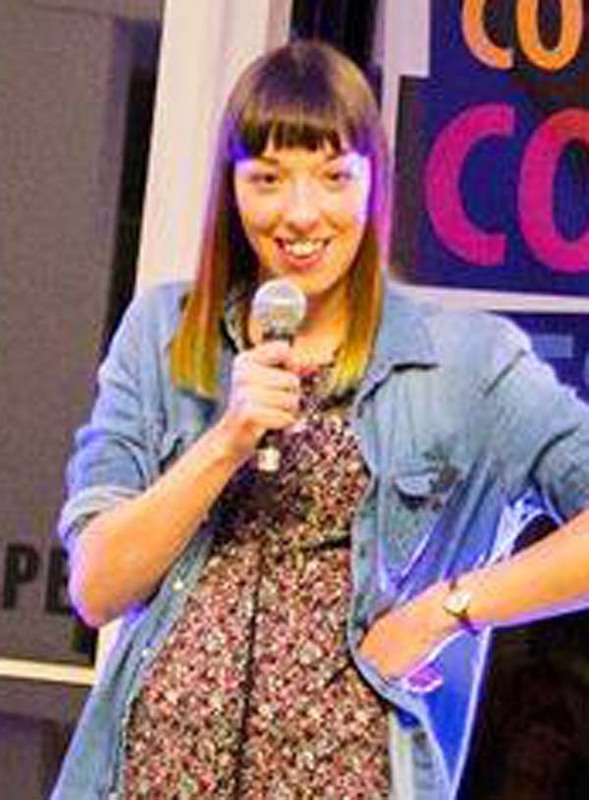 Julia has taken part in charity events and currently helps host a monthly comedy/spoken word gig in London that focuses on Feminism. Julia has performed in London, across East Anglia and in the home counties. She also comperes/MCs comedy nights across the country.